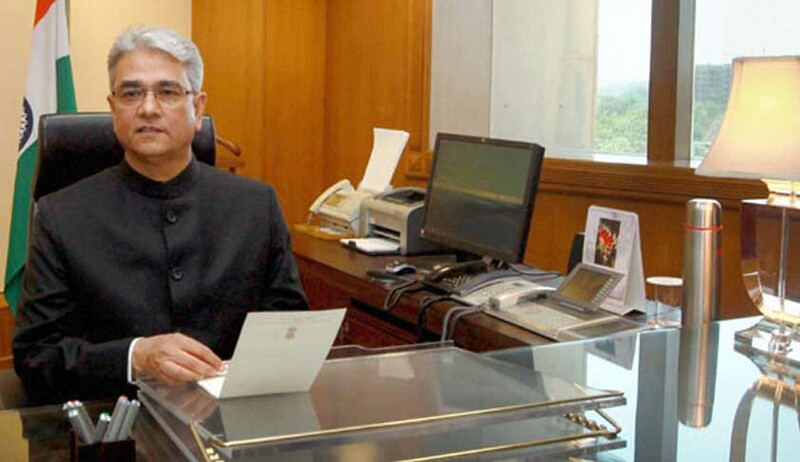 The Delhi High Court today agreed to examine the appointment of Shashi Kant Sharma as Comptroller and Auditor General (CAG) of India and asked the Centre to file its response by August 8, on two separate PILs challenging the appointment. A Bench headed by Acting Chief Justice, Badar Durrez Ahmed said, “Let them file an affidavit. As the matter requires hearing, put up on August 8”. The petitioners argued that appointment of Shashi Kant Sharma as the new CAG is illegal as it represents a serious case of conflict of interest. Sharma, an IAS officer of the 1976 cadre, had been in the Defence Ministry for almost a decade; he was Joint Secretary, Additional Secretary and Director General (Acquisition) between 2003 and 2010. From July 2011 onwards, he was Defence Secretary, and was given an extension. They alleged that Sharma would be auditing the defense purchases Sharma himself sanctioned. The Petitioners contended that the biggest task of the CAG is to audit the expenditures cleared by the Defence Ministry. They contended that “rescuing himself” is a solution that is simply not available to the CAG. The office of the CAG is a single-member body unlike the Supreme Court, the Election Commission or the Central Vigilance Commission. Since major defense procurement decisions cannot be exempted from audit, any such exemption would surely be unconstitutional. If the CAG rescues himself then that would mean that audit cannot be conducted and no report can be submitted to Parliament since none other than the CAG can sign an Audit Report. Therefore, it is pertinent that Present CAG’s appointment be declared illegal. Petitioners further contended that though the method of selection of the CAG has not been prescribed by the Constitution, it is obvious that the process of selection has to be constitutional, non-arbitrary and in a manner that enables the selection of best person for the office. An RTI application filed with the Government on 21st February, 2013 seeking information as to what is the system of appointment, revealed that the Government has no system for selection. There is no selection committee, no criteria, no transparency and no call for applications or nominations. The process is entirely arbitrary and opaque, and thus completely violative of rule of law. inter se evaluation of merit. These imperatives are particularly relevant for the selection of the CAG, a functionary who is supposed to be completely independent of the Government and unbiased in his auditing of Governmental actions and spending. The petitioners are being represented by Advocate Prashant Bhushan. A copy of the petition filed by N Gopalaswami and others is available for download below.